We have had a wonderful tomato season. 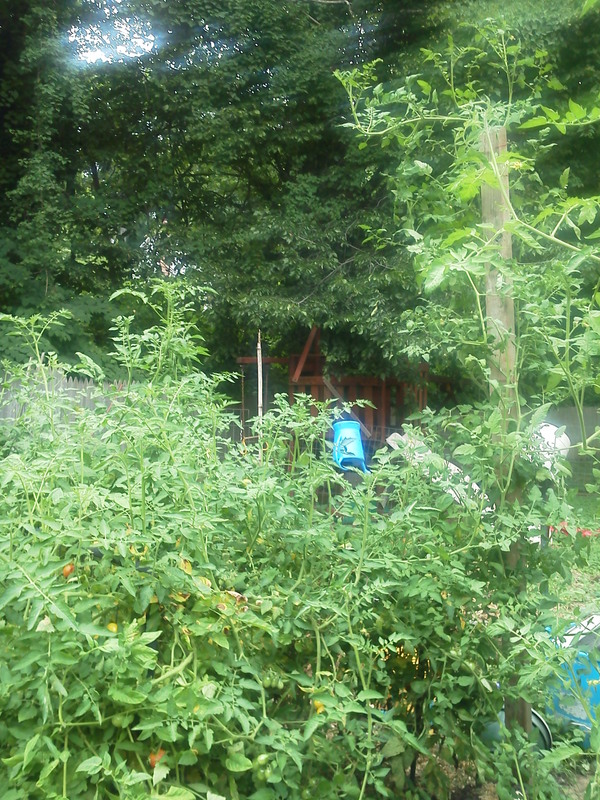 Our tomato plants are 6 feet tall and we are picking tomatoes everyday. In the past we have only grown enough tomatoes for sandwiches and salads, the kids would eat them faster than I could save enough to can them. Today, I finally had enough tomatoes that I needed to can them or they would go bad, we just could not eat them all. 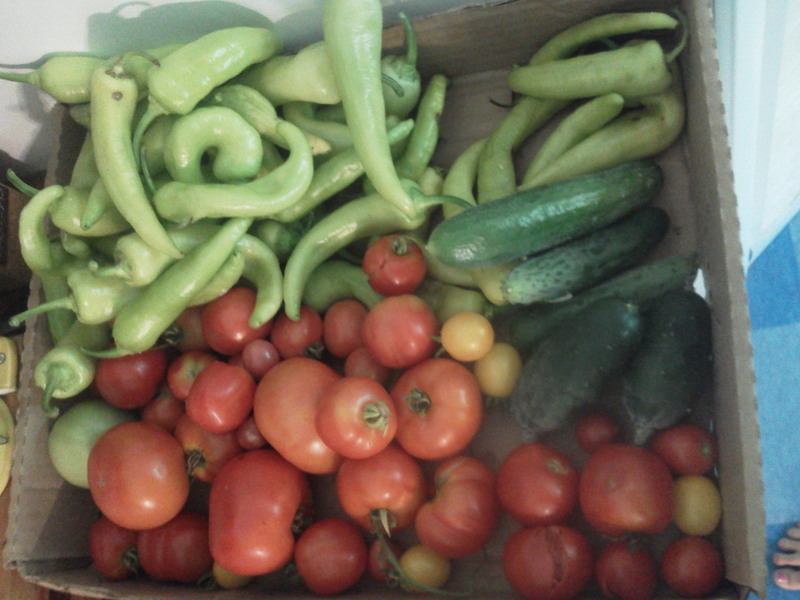 I was finally going to make salsa from the tomatoes, peppers, garlic and herbs that I grew on my property. I was so excited. My mother-in-law and I spend the morning processing produce. I did not chop the tomatoes small enough and I chopped the peppers and the onions too small, we ended up with every watery salsa. 9 jars of very watery salsa, I was so disappointed. Finally here I was canning my own produce and I messed it up. Instead of throwing away all these tomatoes that we worked so hard to grow, we water bathed canned the tomato mixture and I will just use it as a soup base. It will work great in chili, tortilla soup and vegetable soup. 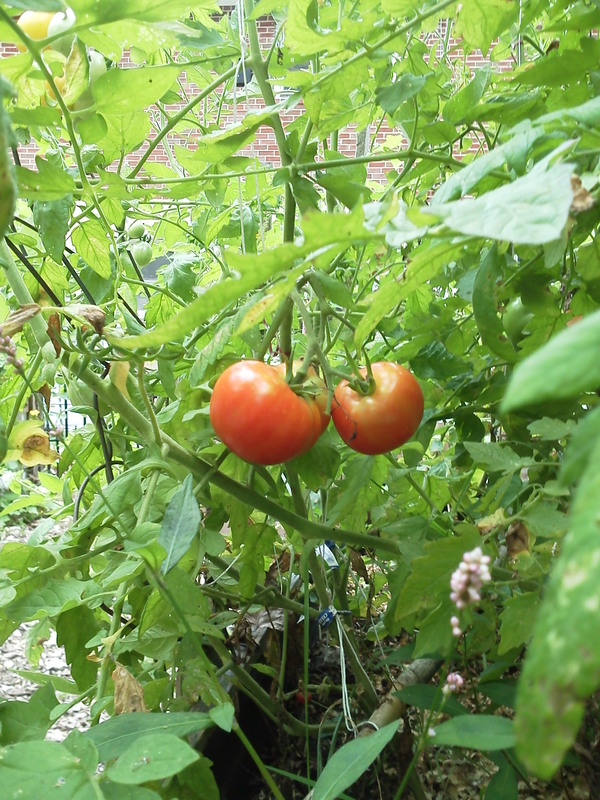 I hope that my tomato plants continue to grow and produce more tomatoes so we can get another chance to make salsa. When I create the perfect salsa recipe I will make sure to post it. 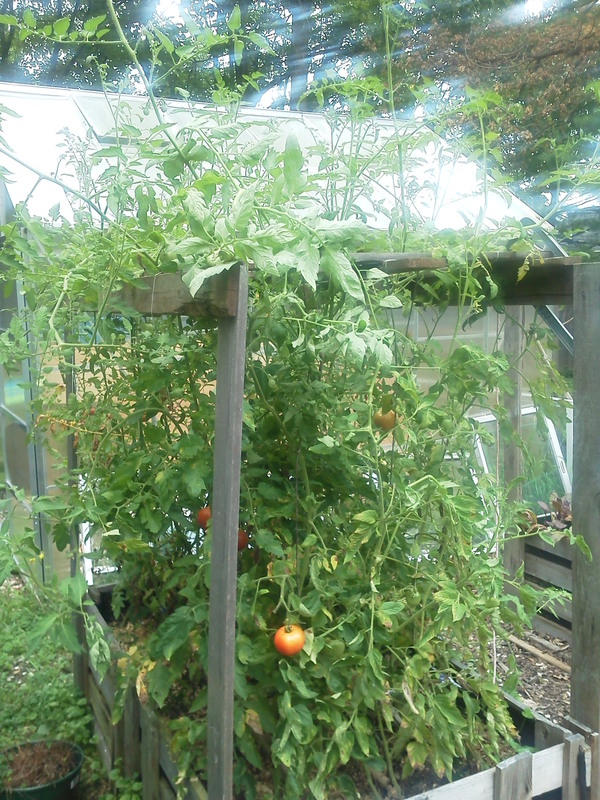 Here are some pictures of my amazing tomato plants. A little rabbit poop goes a long way, it certainly helped these plants grow big and strong.